It can be difficult to face the end of a special friend’s life. Euthanasia can be one of the most difficult decisions we as pet owner have to make. It is common to feel a variety of emotions including anger, denial, fear, sadness and/or shock. We are here to help. Our veterinarians and staff will help you by answering questions, giving you options, working with you to determine if it is the right time, and being with you throughout the process. Below we will answer some common questions our clients ask about end-of-life options, care and the euthanasia process. Is it the right time to euthanize my pet? This decision for euthanasia is very personal and slightly different for everyone. Quality of life is a personal judgment; you know your animal companion better than anyone else. And while we can guide you with objective information about diseases, and even provide a personal perspective of a disease condition, the final decision about euthanasia rests with you. A common situation is that many pets may suffer with chronic diseases such as cancer and are managed in such a way that life is prolonged, although the quality of life is greatly diminished. 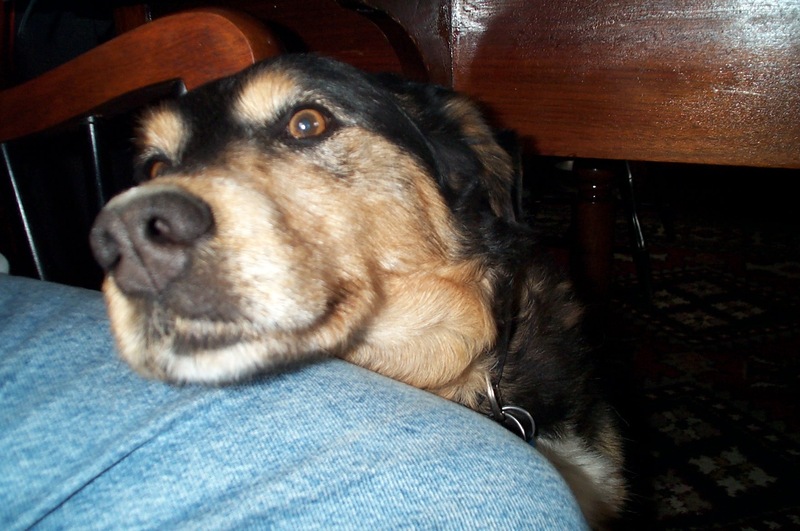 For most pet owners this issue greatly influences the decision concerning euthanasia. Pets with chronic or incurable diseases that are given proper medication and care should be able to eat, drink and sleep comfortably without shortness of breath. Your pet should act interested in “what’s going on” around him, be able to perform mild exercise and have control of his urine and bowel movements (unless the principal disease affects one of these organ systems). 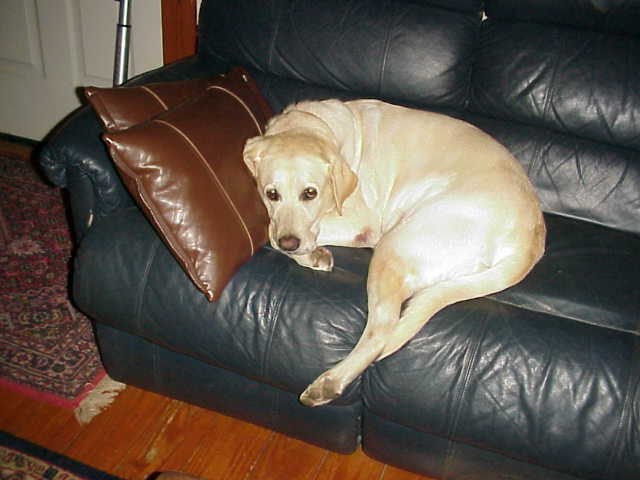 Even your ill pet should appear comfortable and free of moderate to severe pain. Of course, whenever there is a chronic condition, some days will be better than others and one should learn to expect the natural “ups and downs” that attend most chronic disease conditions. You need to determine what balance is acceptable. There are also veterinary issues and medical care issues that may influence your judgment. If your dog is taking medication for a disease condition, ask your veterinarian if side effects of the medicine could be involved with any adverse symptoms such as lack of appetite, vomiting or diarrhea (but DON’T stop giving prescribed medication until you speak with your veterinarian). Sometimes it is the medicine, not the disease, that makes a pet appear more ill and adjusting the dose or changing the medicine can have a very positive effect. Of course, some diseases are very difficult, expensive or time-consuming to treat. The medical bills that may accumulate can influence your decision regarding euthanasia. These are practical decisions that must be made relative to your own financial and family situations. Can I be with my pet? Yes, you can be with your pet through the euthanasia process. However, some pet owners prefer not to be. We will support your decision. Euthanasia does not hurt. Euthanasia literally means an “easy and painless death.” At Granville Veterinary Clinic, we take extra special care to help minimize stress and pain. We sedate our patients with a special drug that makes them very relaxed before the euthanasia procedure. The following is a description of a typical euthanasia procedure. If you do not wish to read about this procedure, please do not continue to read this page. Euthanasia is very humane and virtually painless. First, you will likely be asked to sign a paper – an “authorization for euthanasia”. If you decide to go ahead you will be given a number of options: you may be present (with the pet) during the euthanasia; you may be absent for the procedure but wish to see your pet after euthanasia; or you may want to say goodbye to your pet prior to euthanasia and not see him again. Once you have decided upon your involvement in the euthanasia process, you will need to decide what you would like to have done with the remains. You can discuss your options with us before the euthanasia procedure. Euthanasia will be performed one of our veterinarians. The typical procedure giving a sedative drug in the muscle during which time yoiur pet will become very relaxed and sleepy. Once your pet is sedate and relaxed, an an intravenous injection of a barbiturate anesthetic given at a high concentration (overdose). In general, the euthanasia is rapid, usually within seconds, and very peaceful. Your pet will just go to sleep. On rare occasions there may be a brief vocalization or cry as consciousness is lost; this is not pain although you may misinterpreted it as such. Within seconds of starting the injection the euthanasia injection, the heart to slow and then stop, and any circulation in the body will cease. As the heart stops and the blood pressure decreases, the unconscious animal will stop breathing, circulation to the brain will cease and your pet will die peacefully. Yes, you need an appointment. We can often be flexible but prefer to offer our end of life service at the beginning or end of the day when the clinic is quieter. To schedule an appointment, call 740-587-1129. We are happy to answer any questions over the phone and go over body care options and costs. What will I do with my pet’s body? Cremation with no ash return. Cremation with your pets ash return. 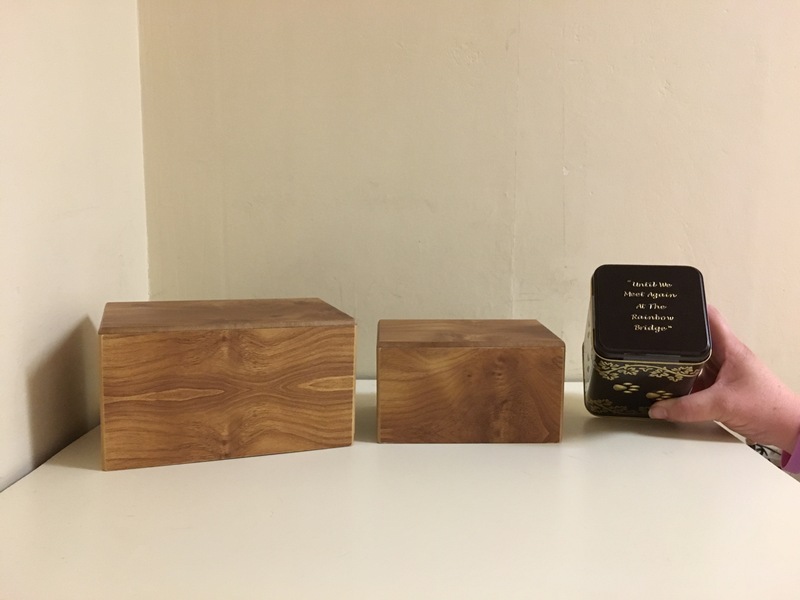 Ashes can be returned in a plain box, tin, or wood box. You can get your pets name and birthday as well. We can also provide you with a paw print and hair clipping upon request. Pet cemetery- There are local pet cemeteries that can also provide special care. Options for remains. Box or Tin. Please let us know how we can be of service during this very difficult time. You can reach us at 740-587-1129.